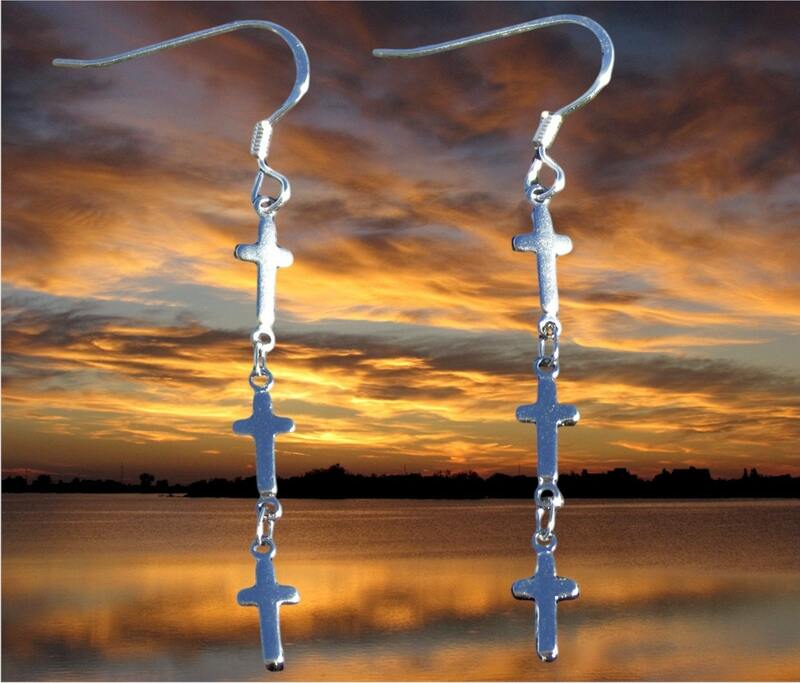 Select from Three, Two, or One Tiny Cross Earring Drop Design. Available in Silver or Gold plate. 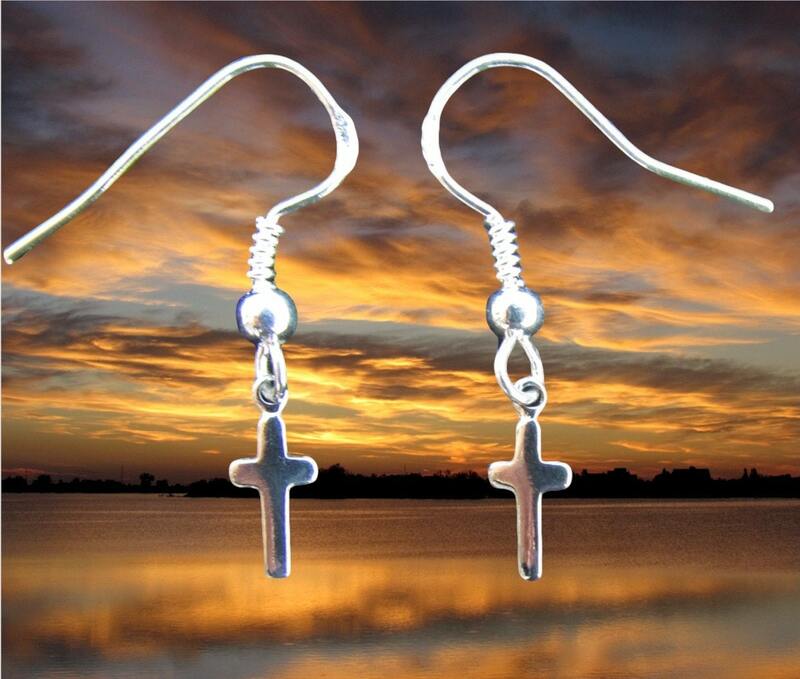 These earring have a Very Petite sized cross with a high gloss finish that you can see as you move. 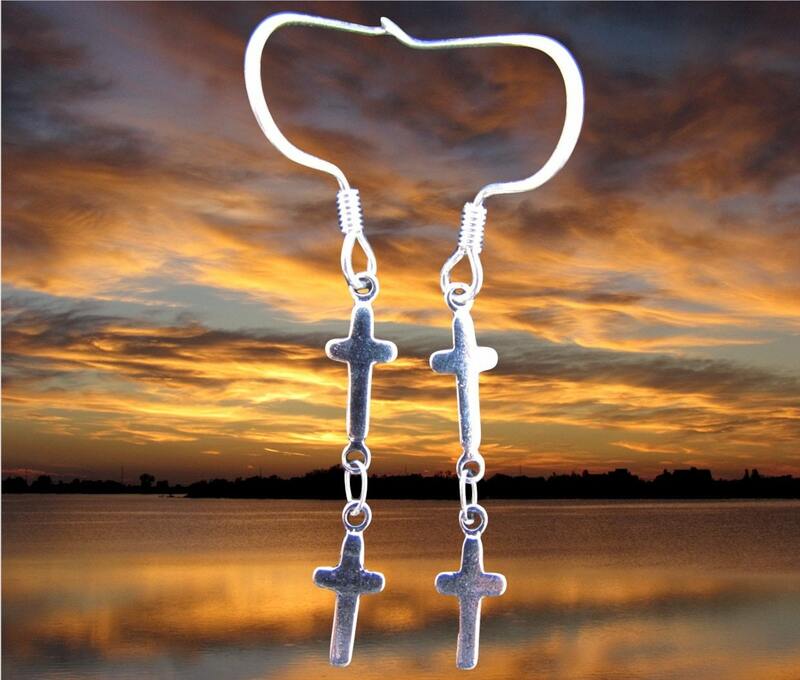 Each small cross is made of Stainless Steel. Stainless Steel will retain it's luster for many years to come. 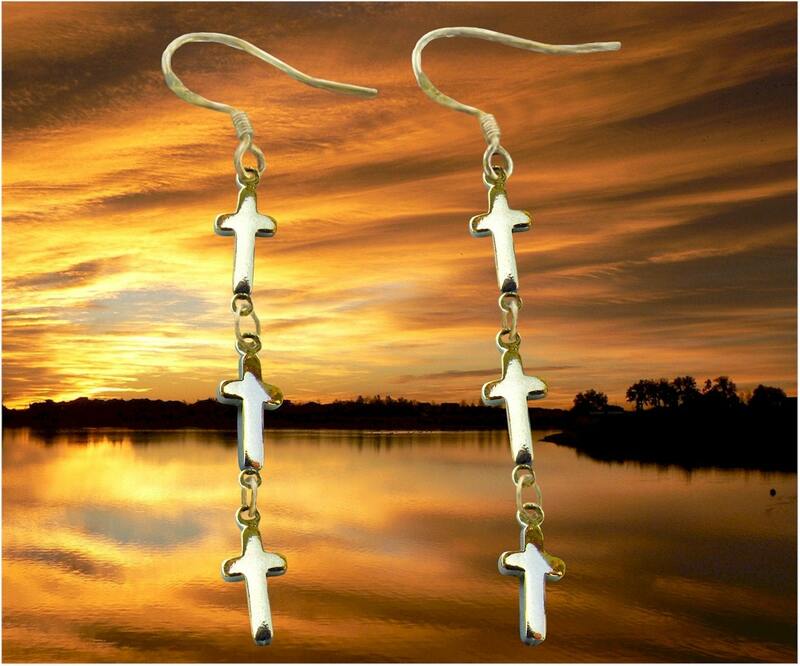 o Choose 3 Crosses and the drop length is 1 1/2"
o Choose 2 Crosses and the drop length is 1"
o Choose 1 Cross and the drop length is 1/2"
Each Earring is Handmade and Made to Order. 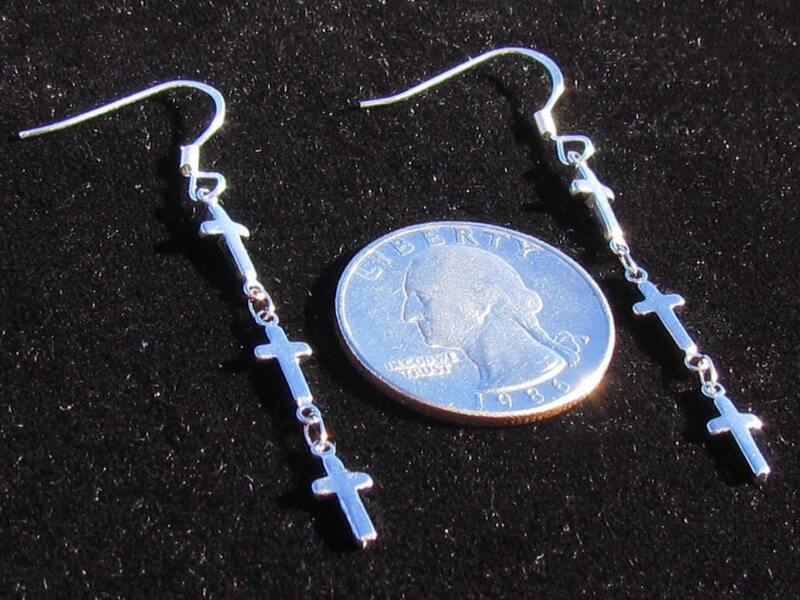 Each Earring is Silver or Gold finish and comes with complementary ear wires.